Dr Murray looked after us while we were tryingt o have our first baby. She was soooo kind and compassionate. I had seen several other doctors first, and was so overwhelmed at the personal care I recieved from her and her staff. We have been blessed with beautiful twins! Is this Review about Shona C MURRAY helpful to you? I came into the emergency room on my birthday. Not really the place I wanted to spend my birthday. Immediately I felt 100% safe in Dr. Maxwell's care. I highly recommend him. He fully explained my injury to the degree that I left feeling not anything had been missed. I will continue to visit St Lukes Hospital for any future needs. Thank you St Lukes and thank you Dr. Maxwell. Is this Review about Michael Gordon MAXWELL helpful to you? Dr. Pasha and his staff are very tentative and patient. They are always a quick phone call away and if I am having a "flare up" they do anything and everything possible to get me in for an appointment as soon as possible. Is this Review about Tousif M PASHA helpful to you? My little daughter was suffocating after drowing at the school swimming pool, when she arrived to the emergency room Dr. Gollas saved her life by doing cardiac resucitation and rescuing her breathing with a special device. He also gave her a lot of medications to kickstart my daughter's heart. I really appreciate his quick thinking. Is this Review about Adrian GOLLAS helpful to you? Dr. Rita Sharma is now my gynocologist and she performed my hysterectomy as well. From the first time that I met with her, I felt that I was in excellent hands. She has been a rock to me, telling me everything that was going on with my procedures that lead up to my surgery. Her bedside manners are the best, and you can tell that she cares for her patients. Her staff rocks as well. She is knowledgable in her field, and she empowers you to know more about what is going on with your body. My recovery from my surgery was excellent, because I followed her instructions to the letter. As a result, I am a much healthier person with a better quality of life. My only regret is that I didn't know about her earlier in my life. She is definitely a doctor that I brag about to all of my friends and I have suggested her to several friends who are having problems similar to mine. My first visit to her was in February of this year, but it seems like I've know her for years. Is this Review about Rita SHARMA helpful to you? Dr. Brown is a wonderful doctor! I strongly recommend this doctor. He is a very sweet and caring doctor. He always have time to listen to whatever problems or concerns you are having. He is my OB/GYN (I'm currently pregnant). He always let you know what to expect and what he's going to do. EXCELLENT!!! I must say! Is this Review about Randall Leon BROWN helpful to you? Dr. Singleton was my ob/gyn doctor and I would recommend her to anyone. She has a wonderful bedside manner and always made me feel comfortable and that you could share anything with her. She made you feel that you were the only patient to her. When I had my hysterectomy, she comforted me, explained things above and beyond I am sure what is normal to make me feel relaxed, and I knew she cared through the whole process. She is full of information that was helpful after the surgery and before. It's hard to find, sometimes, a doctor who will go that extra mile for you and treat you with respect and dignity at all times...Dr. Singleton was and is that person to me. Dr. SIngleton is always cheerful to see, greets you with a smile, very outgoing, comforting and will hold your hand if that is what you need to get through the process. If you live in that area, please see her for your women needs. Is this Review about Chrystal J SINGLETON helpful to you? He is a really good so far he has answered all my questions, helped me with my concerns and hasn't judged me for even asking the stupidest questions. I have even called a few days in a row with concerns and they haven't changed their attitudes toward me in anyway. On Oct 30 he will be doing my vaginal hysterectomy and I feel as if i couldn't be in better hands. Is this Review about Magdy NOUR helpful to you? He is the best! I suffered with terrible migraines almost daily for two years. My neck was killing me as well and when I finally got to him, he BELIEVED me. Most Dr.'s were just wanting to give me pain meds and not find out what the source of the problem was. Turns out, it was my occiptal nerve causing all the problems and I had an outpatient procedure performed by him on each side. No headache when I woke up....he's very patient and kind and I am so appreciative of him. Is this Review about Kenneth Marx ROSENZWEIG helpful to you? An amazing urologist, with excellent training and excellent bed-side manners. Is this Review about Faiyaaz M JHAVERI helpful to you? I had a TAH/BSO January 16, 2007 and I know first-hand that Dr. Schilder is....Experienced, Confident, Caring, Thorough...and she doesn't make you jump through hoops to ask the right questions...she gives you the information you need in a way you can understand it! Is this Review about Jeane SCHILDER helpful to you? Is this Review about Syed Shiraz HYDER helpful to you? Dr Hanjani has been my gyn for the past 14 years. He was recommended to me by nurse friends. Dr. Hanjani is a highly skilled surgeon, as well as a phenomenal diagnostician, and has a warm compassionate approach to his patients.He has all the qualities one would look for in a physician.I trust his judgement iimplicitly. I recommmend him to all my friends and family. Is this Review about Soheil A. HANJANI helpful to you? I have and would recommend Dr. McDyer to any woman. He is compassionate, comforting and diligent. I value and trust his opinion fully. He takes his time and explains every step, procedure, option to the fullest. You will never leave his office without fully understand what is going on. Is this Review about Daniel MCDYER helpful to you? Having been to many doctors, I found Dr Tarabein to be the most knowlegeabl, compasionate and grea doctor. Talking to many patients at the waiting area during my visits, I never heard one single complaint about Dr Tarabein, many of his patients drive 10 hours just to be seen by him, this is a unique thing I never encountered in my life. Is this Review about Rassan M TARABEIN helpful to you? Dr. Edwards is an OB/GYN Oncologist. 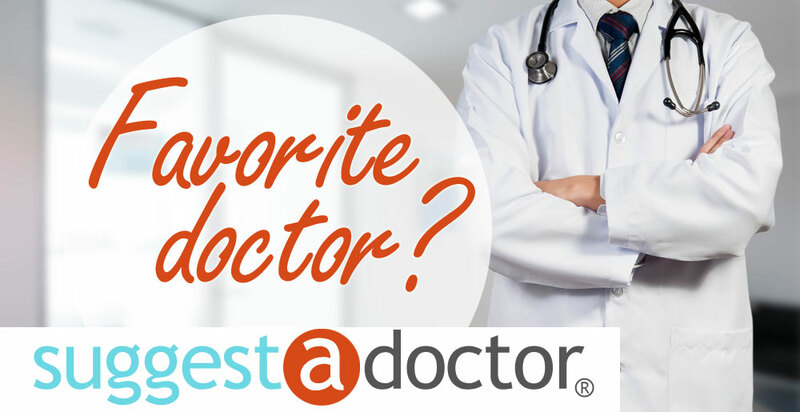 He is a wonderful doctor who has many years of experience. He is warm and friendly and spends LOTS of time with his patients. He is not judgemental at all which I find rare in doctors. He explains things thoroughly. He performed my hysterectomy and it went perfectly. Every day he visited me in the hospital and took the time to really listen and talk to me. Is this Review about Creighton EDWARDS helpful to you? Dr Teebagy was my wife's doctor when she was a child, now he is my children's doctor. He is simply the greatest! Very well read and up to date in his profession, he has decades of experience he utilizes to recognize symptoms, has the respect of a wide network of colleagues that all seem to move mountains to accomodate his recommendations, and he takes time to talk to you and charm your children so they aren't afraid. I wish we could move him into our house and bring him on vacations with us. Is this Review about Charles Elias TEEBAGY helpful to you? Dr. Arturo Aguillon is the best cosmetic plastic surgeon in Massachusetts. I'd had so many skin problems and Dr. Arturo made my face as smooth as a baby's bottom! Is this Review about Arturo AGUILLON helpful to you?